Owen Skateboard, originally uploaded by bill kralovec. 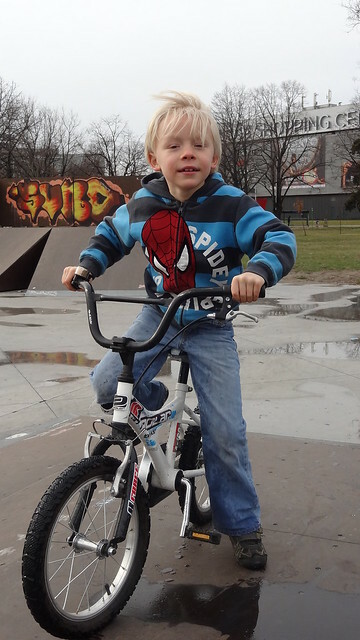 My children love going to the New Belgrade Skate Park, located very close to the Ušče Mall and Friendship Park. I don’t have much experience with skate parks but I am impressed with the facilities. The park has a “half-pipe” and a wide variety of ramps of different heights, angles, and curves. Owen is getting pretty good as you can see in the video above. Oliver rides his bike around the park and all three love playing in the half pipe. It is great that the municipality of New Belgrade built the facilities. They are quite well used as there are always a few kids skating or bmx biking about the park.